Boxing in Ashby de la Zouch? Whatever next? We are proudly sponsoring our client Chris Mawbey, who is making his debut bout in the Collision Course Boxing night at Hood Park, Ashby de la Zouch on Saturday 7th October 2017. There are some great fights on the night, more information can be found on the Collision Course Facebook page. As part of our sponsorship, we are offering all fellow sponsors a free website audit. We will perform a full audit of your website, and point out any potential problems and ways to improve. You can then send this report to your existing web designers, or better yet, let us help! Should you decide to let us design a new website, you will also receive 6 months of free hosting and support. The free hosting is worth at least £100! 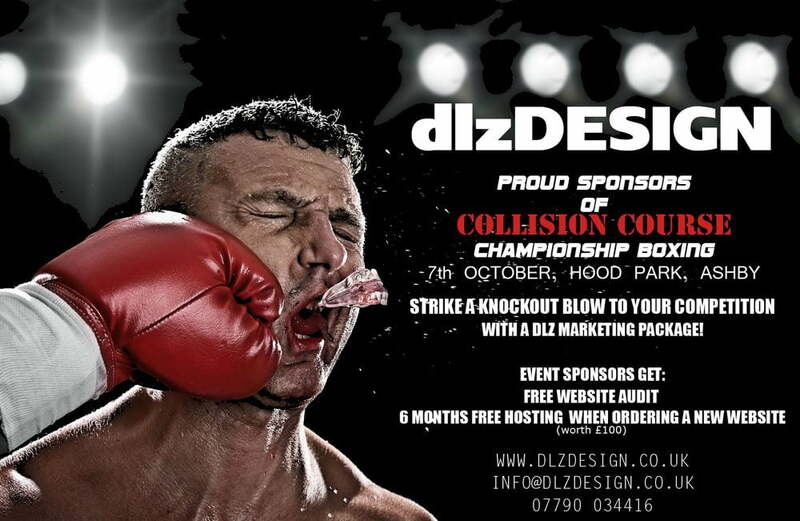 Just get in touch and make sure you tell us that you are sponsoring Collision Course!